Named for Laura’s maternal grandmother, this wine is dedicated to all of her grandparents, each of whom instilled the hard work ethic needed to produce great wine. 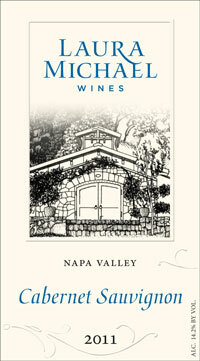 Full bodied with a very floral nose, this wine exudes the characteristics of the Oakville AVA. Deep ruby in color, fine structure for aging and extremely limited production, this is Zahtila Vineyards first release of the Bentley program. Named for Laura’s maternal grandmother, this wine is dedicated to all of her grandparents, each of whom instilled the hard work ethic needed to produce great wine. Full bodied with a very floral nose, this wine exudes the characteristics of the Oakville AVA. 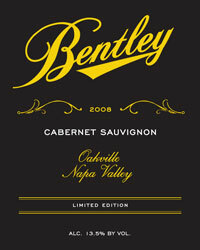 Deep ruby in color, fine structure for aging (drink by 2030) and extremely limited production, this is Zahtila Vineyards second release of the Bentley program. Named for Laura’s maternal grandmother, this wine is dedicated to all of her grandparents, each of whom instilled the hard work ethic needed to produce great wine. A classic Cabernet Sauvignon with alluring dark berry fruit, cedar and vanilla aromas. Prominent black cherry fruit, tobacco and leather give way to cocoa, spice and soft, subtle tannins throughout it’s long, lingering finish. Named for Laura’s maternal grandmother, this wine is dedicated to all of her grandparents, each of whom instilled the hard work ethic needed to produce great wine. Full bodied with a delicate bouquet dominated by beautiful, black cherry aromas. A hit in vanilla from French oak aging, this wine exudes the dusty characteristics of the Rutherford AVA. The palate is soft and plush and finishes with melted tannins. Deep ruby in color, fine structure for aging (drink by 2030) and extremely limited in production. 2011 Dry Creek Zinfandel "Old Vines"
2011 brought a similar growing season to 2010. A cool spring followed by below average summer temperatures. Having learned from the challenge of 2010 we groomed the vineyard to allow more light and air to move through the canopy throughout the summer. The cool weather gave way to early rains - we couldn’t take the chance to let the zinfandel hang through the rain so we picked before the clouds gave way. The wine was aged in American oak barrels for 19 months. First aromas of this wine bring to mind spicy clove. This wine is dense and highly fruity – tannins are well integrated and add a long finish. Enjoy by 2019. This wine is our first blend of Calistoga and Rutherford cabernet grapes. Leveraging our grape contracts with Barlow Vineyards and Whitehall Farms (the fruit that goes into Bentley), we made a blend of these two grape growing regions. The resulting wine showcases the strength of each area – a bit dusty on the nose, showing bright blueberry fruit on the palate. Very deeply colored, this is an inky black wine that will age very well. It’s showing it’s youth right now, needs to be decanted and enjoyed after an hour or so in the glass. 2012 Dry Creek Zinfandel "Old Vines"
Our fifth release of Old Vines Dry Creek Zinfandel has flavors of juicy cherry and plum accented by a bouquet of cinnamon candy and pipe tobacco. Grown in a vineyard planted in 1947, the plants continue to produce fantastic fruit and supply us with the classic Dry Creek characteristics of spice, depth and delicious flavor. Pair with your favorite grilled fare, drink by 2020. In the winter of (Jan/Feb/March) we had a great deal of rain which gave the plants great opportunity to come out of dormancy with lots of moisture for spring growth. Moderate spring temperatures followed by a temperate summer resulted in a great growing season, and a plentiful one.The wine was aged in American oak barrels for 19 months. Butterscotch and burnt cherry on the nose adds to the flavors of red fruit and a touch of spice with soft tannins. The deep ruby color is well balanced as the luscious palate gives way to a lingering finish. Enjoy by 2021. Our Rutherford Cabernet comes from a beautiful site on the western hills of Napa Valley, in the heart of the Rutherford Bench. Dusty characteristics predominate on the palate, with supple tannins framing the bold style of this wine. Red fruit bursts from the glass offering a subtle vanilla note from the French Oak barrels used to age the wine. Decant if you plan to drink in the next few years, or cellar to soften the structure and drink by 2030. We are always tracking the weather each season. This helps us to anticipate issues Mother Nature would like to share with us. With a normal spring season, our first challenge came in late June with unusual rains for a couple of days. We would prefer to be adding water, as we see fit, but the rains came anyway. Fortunately the fruit was still green, so no damage. Cooler August temperatures paused ripening a bit so the Estate fruit stayed on the vine until late in September.The resulting wine has very expressive berry notes and hints of vanilla on the nose. The palate is lush and complete with firm yet melted tannins. Cellar this wine for a few years and enjoy by 2022. Our Rutherford Cabernet comes from a beautiful site on the western hills of Napa Valley, in the heart of the Rutherford Bench. Dusty characteristics predominate on the palate, with supple tannins framing the bold style of this wine. Red fruit bursts from the glass offering a subtle vanilla note from the French Oak barrels used to age the wine. Decant if you plan to drink in the next few years, or cellar to soften the structure and drink by 2035. One of our more structured zinfandels, the 2014 vintage is our 7th release from the, now names, Roost Vineyard. A beautiful garnet hue gives way to a touch of anise and black pepper on the nose. Ripe red fruits abound and are framed nicely by a bit of tannin on the palate. Drink now or cellar until 2023. The resulting wine has very expressive berry notes and hints of vanilla on the nose. The palate is lush and complete with firm yet melted tannins. Cellar this wine for a few years and enjoy by 2022. Our first release of Pinot Noir. Sourced from the Orsi Papale vineyard in Russian River, this is clone 115. Fruit forward and aged for just 7 months on 50% new French oak. Slightly tart with melting tannins, this wine could use to be cellared for another year or so. Drink by 2025. Annual May Release Party: Enjoy Laura Michael Wines paired with Mark's The Spot Food Truck bites. $35 per person. Club member may bring up to 5 guests for a total party size of 6 adults (sorry, no children or pets at this party!) Vegetarian diet can be accommodated, just let us know. Lobster, Lobster, Lobster! Each year we throw a Harvest Bash featuring Maine Lobster and all the best sides! Live music, wonderful wines. $125 per person. Club member may bring up to 5 guest with a maximum party size of 6. Sorry, no children or pets. Beef can be ordered, please let us know. Sorry, we can't accommodate vegan requests. This is a seafood party! This sweet dessert wine is a blend of 50% Estate grown Zinfandel and 50% Calistoga petite sirah. A bit lighter on the palate and just the right choice to pair with dark chocolate or baked fruit tarts. 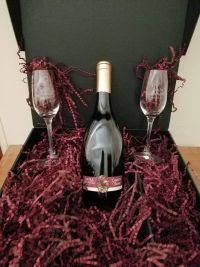 This is a lovely gift package for the sweet wine lover! One bottle of our non-vintage Laura's Theme Red Dessert Wine. Ouru dessert wine is made in the port style. A bit lighter than most, it's a delicious accompaniment to your dark chocolate, baked fruit or after dinner cheese plate! (Michael also likes it with a cigar!) The two glasses lend just the right touch!